Japan (and other parts of Asia) have long carried an intense and negative stigma towards mental illness. Those suffering from mental illness or other mental health problems had very little in the way of resources or support, and there was almost no medical research on mental health conditions in Japan - so many sufferers were simply written off as "crazy" and shut away from society. In the late 90's, an anonymous text-board cropped up under the name BPD Board - due to the lack of mental health related terms in Japanese, users nonetheless demanded to rename this board that specifically catered to mental health issues and thus, "menheru" was born. The name later changed to "menhera" and the movement had taken off. Yami Kawaii, as a fashion and aesthetic was born out of a much more insulting and derogatory take on the term Menhera. Considering the lasting stigma in Japan, many people started using the term Menhera to describe people they considered troublesome or those seeking attention - rather than trying to understand that those with mental health conditions may not be able to help their symptoms or behaviors without support. And as with many insulting stereotypes, Menhera also took a gendered twist - being used to describe a clingy, yandere* type of woman with little self-respect and always seeking approval from others to the point of committing radical or violent acts. By the late 2000's, in pop culture usage, Menhera and Yandere had become almost interchangeable. 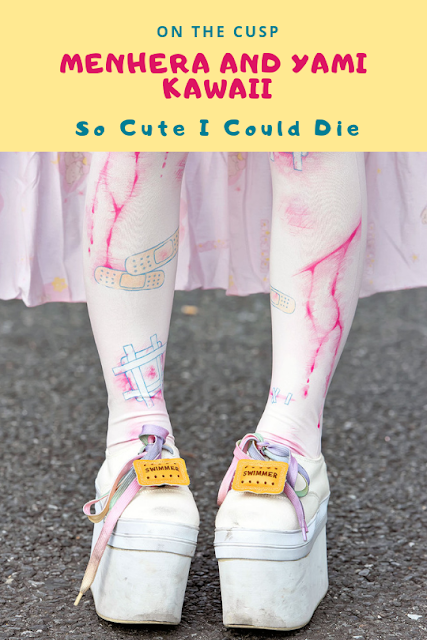 So how did the anti-cute or "sick cute" become the flagship aesthetic for Menhera? Largely attributed to artist Ezaki Bisuko's "Menhera-chan"- this character was a cute girl often adorned by bandages and visible wounds, and suffering with dark thoughts and feelings. 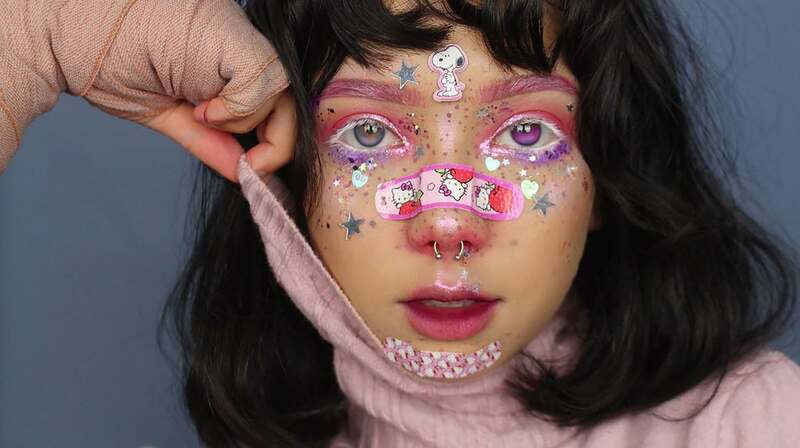 As you can see, much of the fashion associated with Menhera and labeled as Yami Kawaii features items like eye patches, bandages, and depictions of self-harm in a cutesy, glittery, and cartoonish manner. My understanding of Ezaki Bisuko's motivation was that he wanted to bring to light in a very visible way that there are a lot of people in Japan struggling with mental health issues, much like himself, and that he refuses to be a part of the invisible majority. 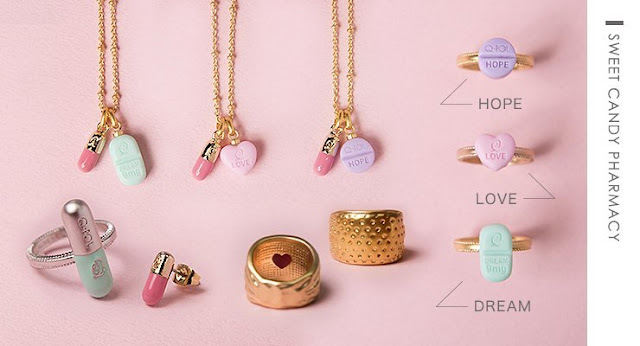 By wearing bedazzled eye patches or pill-shaped jewelry, he seeks to bring the uncomfortable nature of struggling with an invisible illness front and center in everyday life. According to Tokyo Treat, "yami-kawaii fashion makes it ok to dress as if you're not feeling well instead of hiding behind a smile." When mental health care may be nearly impossible to access, with Yami Kawaii a person can still find beauty and empowerment in choosing to dress in a way that doesn't hide their struggles, but rather amplifies and even publicizes it. While it's wonderful that these young Japanese people are finding ways to come together as a community and find ways to express themselves in a very homogenized culture that encourages forced harmony, there's easily a dark side to the Menhera movement and Yami Kawaii as a fashion. Those who remember the popularity of Emo and Scene in the United States might understand - the desire to fit into a group so badly that they fake an illness and engage in self-harm to seem "cool" or '"edgy" and taking away the credibility of those who truly do battle with mental illness or suicidal thoughts is also a problem within Yami Kawaii. So, Can Sick-Cute Fashion Break Japan's Silence on Suicide?